Start Your Career Today at Body Wisdom School. For almost 20 years Body Wisdom Massage Therapy School has been dedicated to taking massage therapy education to its highest possible levels through offering a wide variety of advanced massage and bodywork techniques and modalities. As a leading educator in the field, we aim to provide cutting-edge massage therapy training for both new and experienced professionals. 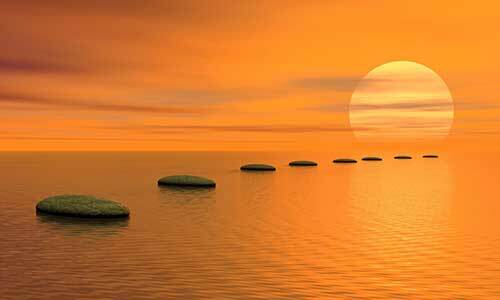 Body Wisdom Massage Therapy School meets and exceeds the requirements of Iowa and states nationwide. We are military friendly and our programs are approved for Veteran educational benefits. 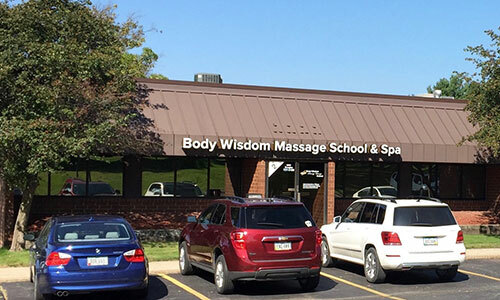 The Body Wisdom Massage Therapy School was created as an answer to the ever-growing demand for a top-notch school with a “customized approach” to education. Our tailored 768 Hour Massage Therapy Certification Program and CE courses put you in the driver's seat both; in choosing a curriculum, specifically designed to meet your career objectives, and in choosing the timing, pace and schedule that best fits your current lifestyle. We feel certain, as you explore the Body Wisdom Opportunity, you will find, as our many graduates have, that Body Wisdom not only has the very best education available in Iowa, but also one of the most sophisticated programs in the entire country. Body Wisdom – is the "Difference that Makes the Difference". We have designed our massage programs specifically to "make a difference where it counts"; starting with a comprehensive curriculum, highly qualified instructors, down to our unique modular training approach. We offer a superior core curriculum plus a broad variety of specialties as electives, continuing education, and advanced courses. Talk with one of our Student Counselors — For information about our Programs & Courses or to take a tour of our 5000sq. ft. facility, get a free personal consultation and visit one of our massage courses in progress. Call G. Kelley at 515-727-4890. 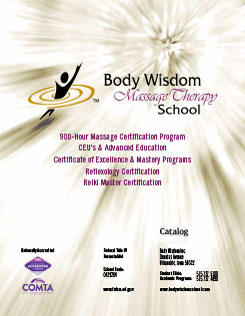 Get your FREE Body Wisdom Massage Therapy School catalog today.